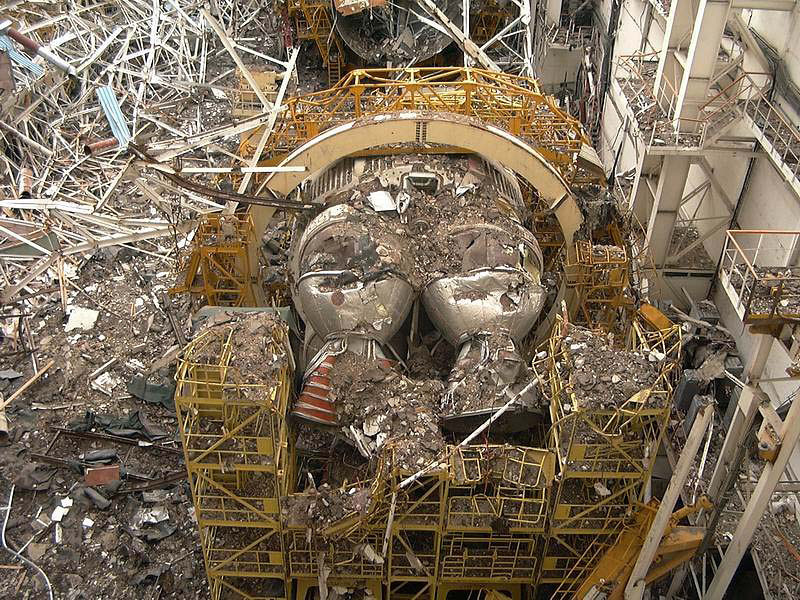 Here is some pictures of the destroyed 1.01 Buran space shuttle (the only model which flown) and the Energia launcher. After its historical flight the shuttle was parked in the 112 hangar piggy backed of an Energia launcher. 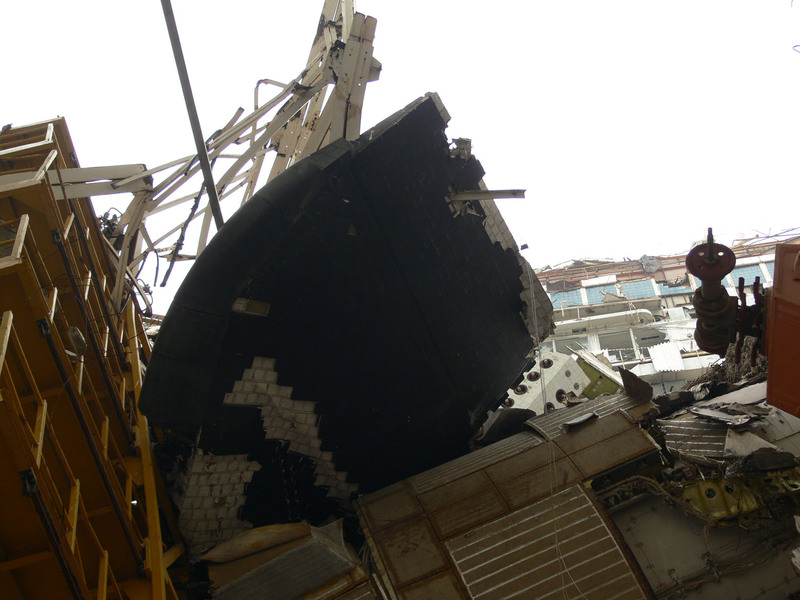 Unfortunatly in 2001 the roof collapsed during its renovation, destroying the shuttle and the launcher and killing 7 workers. Those pictures were taken in the begining of the year 2008. Posted on: 2008-08-31 under Baikonur, Buran OK-1.01, Energia. The Buran was an amazing piece of technology, in many ways far superior to the American Space Shuttle. It’s very sad that the program was discontinued. The Buran program was never closed and never discontinued, the Russian government has not closed the program. It has remained open just it is not closed as their is no funding for it. The government claims that the Energia may need the Russian shuttle program but they never said when. Even though it looks dead, remember they built 13 space shuttles, 3 are kept in storage that have not been viewed by the public. They remain in safe condition and also Energia has more of the original parts left from the Energia Buran boosters, they were kept in other space hangers. The issue though the Russians are the only country that are ahead of space race, NASA has no plans to go to the Moon till 2028 ut even so they have no rockets planned, the Russian however have made there launch openning dates for Mars from 2015 to 2024 but it is said they have enough money to begin the mission in 2018, they have with the Chinese have the technology to go with their proto type mars rockets, it is a 8 rocket launch system to the ISSS and the moon to prepare a base for Mars. I am only learning what I here from Russian News on BBC and Russia Today TV. you know Russia Today is not a good source of information about space, they also said that Buran was built to steal the Skylab station. Even if the project was not officialy closed by a president edict, the Council of Chief Designer said in their repport of May 1993 that the work on Buran-Energia is no longer possible. Sorry my wife’s friend works for Energia in Russia, the Buran is not closed. It may be dead but they never closed the program and they have been talks after 10 years to fly it again, it all depends on the funding. The Klipper program is one thing but Russia needs cargo rockets, that is the Buran. Even though expensive to fly they have always looked at the Buran as a second or third tear plan. 1993 was a long time ago and the Russian government said things then as different now, for example all the post Soviet military programs are in full affect, they are building 11 aircraft carriers, imagine that by 2019 it took the US to build 7 from 1983 to 2004. The position the country is in they have the money, there is only one city in recession but Russia is out of the recssion now but the next 5 years we may hear something on the Buran program again.